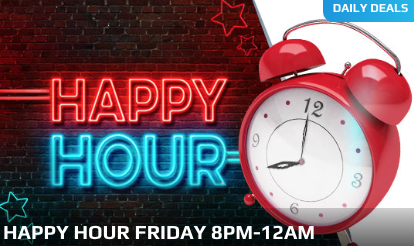 Deposit over £10 using the code HAPPYHOUR0 this Friday and you can receive a 50% bonus up to £50. Remember that the payment must be made between 20:00 and 23:59. This extra cash is valid on all the games you desire to play. Only veteran gamblers can benefit from the promotions. Keep in mind that you have to wager the bonus amount 40 times before you make any withdrawals. Start your weekend earlier with this amazing bonus!